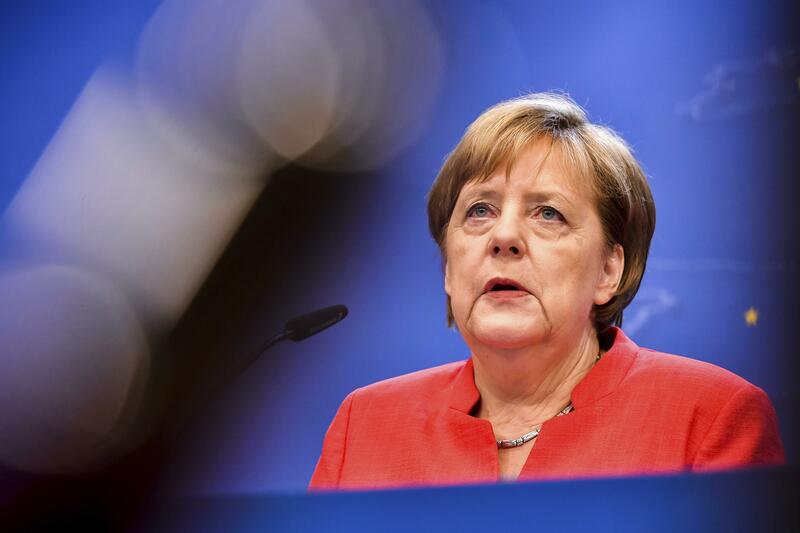 UPDATED: Sat., June 30, 2018, 3:01 p.m.
BERLIN – German Chancellor Angela Merkel has reportedly secured agreements with 14 European Union countries to rapidly return some asylum seekers as she seeks to end a schism in her government over migration policy. In the letter, the chancellor threw her support behind establishing large collection centers in Germany for migrants as their cases are processed. Dpa reported the centers would be used for migrants who attempt to bypass border controls and for those whose cases don’t fall under bilateral return agreements. Top CSU lawmaker Markus Soeder, Bavaria’s governor, on Saturday praised the EU agreement as more than his party had expected, but at the same time suggested that it left open the possibility of unilateral national measures as well. In neighboring Austria, Chancellor Sebastian Kurz again urged a European solution to migration, warning in the Bild newspaper that if the southern German region of Bavaria undertook unilateral measures it would create a “domino effect” as Austria and other EU nations then closed their borders one-by-one. Published: June 30, 2018, 9:46 a.m. Updated: June 30, 2018, 3:01 p.m.